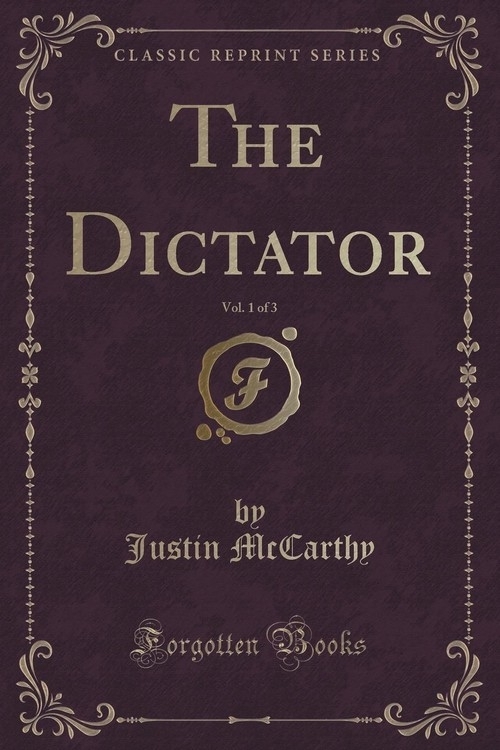 Excerpt from The Dictator, Vol. 1 of 3<br><br>The May sunlight streamed in through the window, making curious patterns of the curtains upon the carpet. Outside, the tide of life was flowing fast; the green leaves of the Park were already offering agreeable shade to early strollers; the noise of cabs and omnibuses had set in steadily for the day. Outside, Knightsbridge was awake and active; inside, sleep reigned with quiet.<br><br>About the Publisher<br><br>Forgotten Books publishes hundreds of thousands of rare and classic books. Find more at www.forgottenbooks.com<br><br>This book is a reproduction of an important historical work. Forgotten Books uses state-of-the-art technology to digitally reconstruct the work, preserving the original format whilst repairing imperfections present in the aged copy. In rare cases, an imperfection in the original, such as a blemish or missing page, may be replicated in our edition. We do, however, repair the vast majority of imperfections successfully; any imperfections that remain are intentionally left to preserve the state of such historical works.